At the recent SAS Analytics Experience in Washington, DC, more than 2,500 analytics professionals came together to learn how to position themselves and their organizations for an analytics-driven future. The main event for utilities attendees was the Utility Advisory Board Fall Meeting which drew participants from as far away as Eskom of South Africa and Tokyo Electric Power, and as close by as DC-based Pepco. Attendees were able to learn about each others’ challenges and where they are different -- or in some cases not so different. What does 'open' mean for analytics leaders? The meeting’s first panel featured perspectives from inside of and outside of the utility industry discussing what 'open' means for analytics leaders. Dr. Goutam Chakraborty, who leads the graduate analytics program at Oklahoma State University, noted that a more open analytics environment creates more opportunities for his students as they enter the workforce as it extends their horizon and provides a platform for solving problems using different approaches and tools. John Carpenter of OGE noted that a more open platform and operating environment allows different areas of operations to “talk” to each other, but Carpenter also added another important component; that is, this environment is more conducive to the automation of business processes with many potential business impacts (efficiency, quality, and profitability among them). Andrew Thomson with the US Energy Information Administration added a different wrinkle to the discussion, but one that resonates in the utility space with increasing customer expectations. Their goal is to make all data available to all, “literally!” He noted that this is becoming a challenge as the frequency and volume of data continues to grow. An international perspective for the panel was provided by Ephraim Tlhako, Chief Analytics Advisor at Eskom. They have one shareholder (the government) and while this makes being “open” easier in many regards, it comes with its own challenges in dealing many different departments and levels of a national government. In addition to the movement towards open analytics, there was also a definite vibe around “edge analytics” in utilities and other industries, as well. 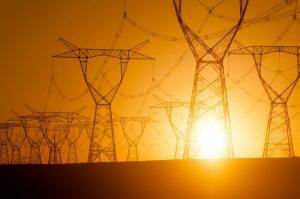 The value of performing analytics at the edge – for utilities this could be at the customer premise or at the grid equipment level, for instance – is being realized as compute power continues on the path along Moore’s Law, and as the value and effort in moving growing masses of data is not always realized. Han Yang, Senior Product Manager at Cisco, engaged the Utility Advisory Board in a discussion about how and why their organizations are (or in some cases are not – yet) pursuing analytics at the edge. Surprisingly, given the technically savvy audience, the core of the discussion focused on the business needs and justification for investing in edge analytics. In another session during the AX conference, Rob Moussadi of ABB Digital Solutions provided some insights and examples as to why edge analytics is becoming such a massive movement. Rob pointed out that in many industrial scenarios 88 percent of data is unanalyzed, so why move all of that data around with so little value realized? In today’s world a Bluetooth-enabled sensor can be deployed for as little as $5, thus creating a digital asset in an electro-mechanical world. This is a step in edge analytics, but not the answer in its entirety. Rob emphasized that the key is to not only apply analytics, but to then take the extra step and automate the process. The analytics in the utility industry has come a long way over the last few years. The industry has gone from grappling with data (this challenge will seemingly never go away) to pushing forward to predictive operations across the enterprise. Now with the advent of open analytics platforms and edge analytics, that light you see on the horizon is the utility industry’s bright future, brought to you (at least in part) by analytics. If you want to know more, check out what analytics can do for your utility, learn about SAS in an open analytics environment and explore edge analytics.